Suffering From Problems in Your Achilles Region? Achilles tendonitis describes an inflammation of the large tendon and/or its associated soft-tissue structures at the back of the lower leg. Poor circulation in the area contributes to the tendinitis becoming a chronic condition; and in some instances there is pain in Achilles tendon and it can also rupture. The traction forces experienced by the tendon can sometimes result in spurring or calcification of the tendon at its insertion into the heel bone. 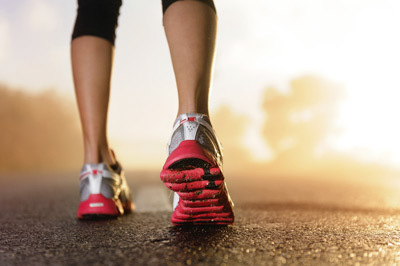 At Central City Podiatry, we find this condition may occur at any age, however is most commonly seen in athletic individuals, particularly those involved in running or jumping. Individuals reaching their middle ages are also predisposed to this injury as the water content and ability of the tendon to repair itself diminishes; resulting in an overall loss of tendon resilience. Inadequate training practices (warm-up, cool-down, stretching etc). Discover the best care for your tendonitis. Contact our practice today to get started!